In a 2016 September BBC radio program titled “The Waterside Ape”, Sir David Attenbourough presents new evidence for the waterside theory that have been published in recent years. 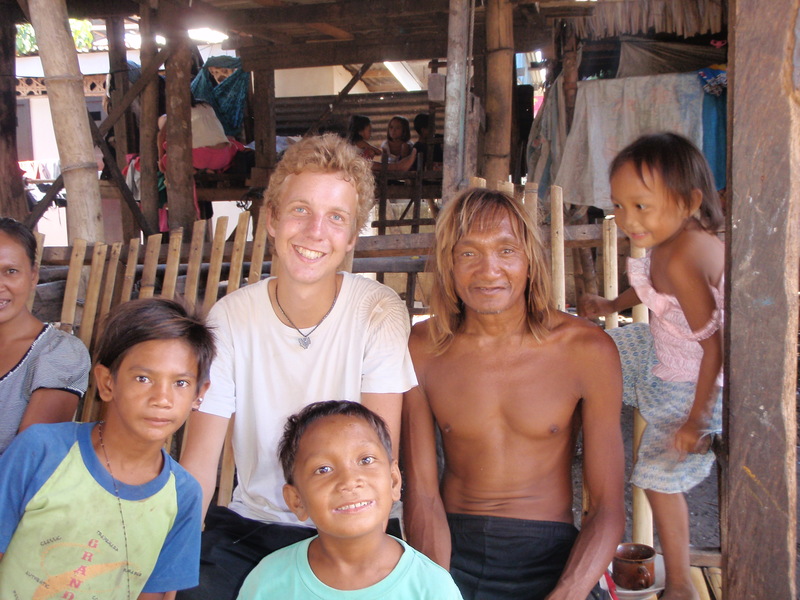 In the program, they interview free diver Sara Campell who went from a total beginner to a holder of three world records in just eight months, Erika Schagatay who have studied Japanese Ama divers and Bajau divers and compared the data with semi-aquatic mammals and Curtis W. Marean who has discovered dependence on mussels and sea-snails among Homo Sapiens at Pinnacle Point in South Africa at 164 k years ago. A particularly interesting evidence has been formulated by P.H Rhys-Evans and M. Cameron in their article “Surfer’s Ear (Aural Exostoses) Provides Hard Evidence of Man’s Aquatic Past” in 2014 in which they show that aural exostoses have been found not only in old Homo Sapiens fossils but also in Homo Erectus and Homo Neanderthalensis fossils. Surfer’s ear is a bone growth in the ear canal that protects the eardrum from pressure, which is proportional to the time spent in cold water. The bone growth has been found in fossils stretching as far away as South Africa, the Mediterranean and Australia. According to Rhys-Evans this bone growth can only be explained by extensive swimming in cold water. After the program was released, critics Alice Roberts (Professor of Public Engagement in Science, University of Birmingham) and Mark Maslin (Professor of Paleoclimatology, UCL) wrote a reply in The Conversation with the title “Sorry David Attenborough, we didn’t evolve from ‘aquatic apes’ – here’s why”. In the article, they claim that many of the adaptations that are suitable for an aquatic environment, as for example hairlessness and increased body fat can be explained by a need of cooling down and sexual selection. They also claim that many of our aquatic adaptations evolved on different occasions throughout human evolution, why water cannot be the explanation. Bipedalism, for example, emerged about 6-7 million years ago while our brain started to enlarge about 2 million years ago. They also highlight the flexibility of human behaviour, and they explain later water adaptations as for example the one mentioned in the Pinnacle Point starting at 164 000 years ago, as behavioural adaptability rather than as an inherited way of life. But why rely on sexual selection? What is attractive in generally what is viable in terms of survival. Hence, if humans started to like hairless bodies and more fatty breasts, it was rather because these characteristics were evolutionary useful, not only that they were considered beautiful. And is it really a problem that different characteristics have evolved on different occasions? The increase of brain size in Homo Erectus is probably much linked to the emergence of deep water Rift lakes that enabled increased feeding from aquatic resources. Hence, the aquatic phase in human evolution was not something that just took place many millions ago right after we left the trees, it has been influencing our evolution till the very emergence of Homo Sapiens. Bluntly, Roberts and Maslin also criticise the theory for being “pseudo-science” as is does not make any falsifiable predictions, of course irritating many of the researchers outside the area of palaeoanthropology who respectively have found strong evidence for an aquatic past in the fields of for example human physiology, obstetrics and otorhinolaryngology. In a falsifiable experiment, it has also been shown that vernix caseosa, the white substance found coating the skin of new-born human babies is likely to be an adaptation to entering water soon after being born. Further, obviously without listening carefully to the BBC program, Roberts and Maslin also claim that there is no fossil evidence to support the waterside hypothesis even after the discovery of surfer’s ear in Homo Erectus, as well as predation and preparation of very large catfish in Turkana basin at two million years ago, and the fact that literally all well-known fossils as Lucy and Selam have been found in river sediments. Lucy was found next to fossilised crocodile and turtle eggs. It is sad that the Aquatic Ape/Waterside theory since long has been misunderstood and rejected without further thought. This is also being reflected in other books and magazines dealing with human evolution. Mostly, the savannah or mosaic theory are taken for granted, and forms a basis for further reasoning. This is also the case with the great selling author Yuval Noah Harari, who has written the books Homo Sapiens and Homo Deus. When he talks about our evolutionary past he always relates to the savannah, even though there no longer is any savanna theory out there. Hence, many scholars adapt to the paradigm set by the paleoanthropologists, but which is false. We also have to keep in mind that the concept of human evolution is closely connected to our belief in development and growth. The generally accepted evolutionary story of Homo Sapiens is in fact the scientific creation myth of man, and it repeatedly depicts a human ancestor who were living in a diverse mosaic environment always eager to adapt to new circumstances using an emerging intellect and creativity, and not it’s bodily functions. There is thus a red thread between myth of human evolution and today’s pursuit of constant growth. But the aquatic ape theory tells us another story: here most human characteristics can be explained in relation to a specific biotope: the waterside. However, this idea can’t be accepted by the paleo anthropologists because It implies another creation myth that does not go hand in hand with the idea of development. Hence, by strengthening the waterside theory, the proponents of the theory just make it more inappropriate in the anthropological community. That’s why they compare the theory with the mythological hydra: if you cut off one head, two new ones grow out. The only solution to this dilemma is to accept the fact that humans during evolution were nothing special. We were not the masterpiece of creation. We were just one animal among others. We ate shellfish that we collected in low tide or by diving. We were walking, wading and swimming long distances along the shore lines. We gave birth to the children in water. And, most importantly, we were not creative engineers, who always came up with new ideas for survival. There was no need for constant invention – because their world was never changing as rapidly it does today. What was important to our ancestors was to learn the techniques of survival that were already in use. What was important to our ancestors was to learn the techniques that were already in use, ranging from tool manufacturing, motor skills and resource utilization. They also inherited a profound knowledge about edible plants and marine resources. As a matter of fact, if we look at the tools used by our human forefathers we can see that they were made in nearly identical ways over long periods of time. The stability and the cons ervatism in the tool making traditions as for example Oldowan stretching from 2.6 million years BP to 1.7 million years BP, Acheulean stretching from 1.76 million years BP to 100 thousand years BP and Middle Stone Age (MSA) starting around 280,000 years ago and ended around 50–25,000 years ago have been extremely conservative over hundreds of thousands of years. Where were all the innovations? And why did the early group of Homo Sapiens that made it all the way to Israel around 130 – 85 thousand years ago not out conquer the Neandertals? Why were the same caves inhabited alternately by both Homo Sapiens and Neanderthals before Homo Sapiens finally disappeared from the area? In fact, what distinguished man throughout history was rather an extremely precise handwork, a strict repetition of long series of complex hand movements; or in other words: a repetition of already acquired technology. And not a constant flow of inventions and change. We must accept a new paradigm – that humans were not ingenious creators but rather extremely skilled imitators – and I am convinced that this paradigm will grow in popularity when we fully realise the destructive impact humanity and rationality have on this earth. Soon, the believe in development will not lay the foundation of the scientific creation story of man. But then, what happened? Why did Homo Sapiens finally change and start to migrate to the most diverse environments? Yuval Noah Harari talks about a cognitive revolution that took place approximately 70 000 years ago enabling us to organize people on a larger scale in relation to a common shared world view. The revolution also led us to manufacture more advanced tools, create more diverse art and hunt on a large scale. Yuval Noah Harari argues that changes in our DNA enabled this change. Again, we can see the strong faith in the connection with human evolution and today’s growth, and the conviction that today’s humans reflects the inner core of our DNA. In other words, the paradigm assumes that we are meant to be geniuses. But can small changes in brain make that difference? And if so, what was the purpose of our large brains that we had as early as 200 000 years ago despite not creating any visible inventions? There is, as I see it, only one possible answer to this dilemma. The creative capacity of man throughout most of our evolution was latent. It was a part of our brain and potential, but not utilized. It evolved, but as the other side of the coin. The main function of the growing brain was rather to repeat earlier invented behaviour, not to start the day by coming up with an ingenious idea about luring a big prey. We also must keep in mind that tool management and language are located in the same part of the brain and closely related to each other. Hence, the function of this part of the brain was to cement behaviour and movements, to master the art of reappearance. But when the humans had to leave their tropical environment because of climate change – as in South Africa approximately 100 000 years ago – this language lost its grip and turned creative. In other words, maybe the brain in its essence is anti-development. That, I am sure, will be the paradigm of tomorrow. This entry was posted on April 29, 2017 by Erik Abrahamsson. It was filed under Uncategorized . I published my book Aquatic Ape and African Eve in 2003 and have recently updated it in a 4th edition, published as Seashore Man & African Eve. Find me and my book on the internet I have for many yeas failed to understand how scientists and others have relentlessly pursued the often angry confrontational and excluding story of two different paths of evolution. There is one particular and very brief remark that I have often quoted in discussion. How is it it is determined that for 3-4 million years (a truly enormous period) hominins roamed the Africann interior and spread across the Indian Ocean rim and Eurasian interior but NEVER sojourned on the benign Indian Ocean shores of East Africa with abundant seafoods and fruits in monsoon shorelline forests, a safe environment and all the rest. I have known Africa very well for fifty years and when I read Desmond Morris all those years ago, I knew that the savannah hypothesis was unsupportable. Evolution occurred because of the interaction of hoimnins in changing environmenst during vast time with events and activities in ALL Afrrican environments, and the Pleistocene glacial/integlacial shocks. It is one story, not two cpmpeting hypothese. There are so many obvious holes in the exclusively savannah/mosaic hypothesis that it becomes a boring activity to repeat them over and again ! Hi, Denis! Thanks for your comment! And thanks for sharing your book. The reason why we don’t find any fossils of human ancestors along the Indian Ocean shoreline is that the historical shoreline is under water today. However, there are strong evidences that also our forefathers lived close to the sea, as for example the findings of ancient human activity on the islands of Flores, Crete and Socotra shows. Homo Florensis is an obvious proof that our forefathers lived along the Indian Ocean, and it is today thought that either Homo Habilis or Homo Erectus first settled on the island. Even so, if we assume that the first hominids, as for example Australopithecus, did not live along the Indian Ocean, it doesn’t falsify the waterside theory. It is indeed very likely that the earliest hominids evolved in lakes in the Rift valley. It is also in this kind of environment we have found the fossils of Australopithecus as Lucy and Selam. I would say that it was the lakes that shaped human evolution, more than any other environment. These characteristic were later of great advantage when our forefathers reached the Indian Ocean for at least 2 million years ago, and rapidly spread all the way to Southeast Asia. You are right when you say that repeated ice ages shaped man’s evolution and triggered the emergence of new species. But to say that our ancestors evolved in ALL environments (though in the shape of different human species that later emerged to same extent) is clearly false, and that perspective goes hand in hand with the present anthropological paradigm where humans are seen as an environmental generalist. We have to keep in mind that many of the characteristics we have, as for example our diving response and diving reflex, clearly show that we were living in an aquatic environment for millions of years. We can tell for sure that many of these characteristics have been shaped by water. But what traits have come from the open woodlands? From the mountains? From the dessert? Hence, the waterside hypothesis cannot also hold either the savannah or mosaic hypothesis or a third very broad mixture of environments. It stays alone. Thank you for your response. It is always a great pleasure to know that you are not alone in the wilderness. Clearly, from at least the later Australopithecenes, we have been shaped overwhelmingly by seashore habitats and the giant stimuli of the Pleistocene climate cycles. The question which you point out is how did interior habitats (principally the Great Rift Valley) affect evolution. We assume that the dominating engine was the waterside, most especially the tropical seashore, and I assume that is why there is such obdurate conventional opposition. It seems to be a stand-alone scenario with no room for an inland dimension. I would suggest that the trait most obviously influenced by a ‘savannah’ environment is the huge jump to toolmaking. Stone tools require advanced brain mechanisms to ‘imagine’ the tool within a lump of suitable rock. The evolution of the brain to enable this has to have been the result of very long periods of seafoods, but the need for hand-axes, in the first place, and later fine developments seems to be a savannah-woodland challenge. Hunting, given so much prominence in the savannah theory, was stimulated, in my opinion, by the need for clothing and shelter materials for naked homos especially during glacials in the Rift Valley region. Hunting equipment and clothes-making required quantities of good stone tools. There are several cultural and anatomical feedbacks at work there. I have a problem which I have not properly resolved in my own thinking. That is the extreme vulnerability of a chimp-like ape in transit to bipedalism. This was both a severe skeletal and neural change. I see that neither savannah nor aquatic hypotheses have adequately examined this problem. I am tempted to circle round to Morgan’s original scenario of a small, isolated group completing this profound change almost by chance at the seashore, and only spreading along the seashore and back up into the Rift Valley only when upright stance was finally viable. A clumsy creature in transit to bipedalism in freshwater woodland environments should surely not have survived predators ? Yes, it is great to find others who have a genuine interest in human evolution, and I hope and think that we will get more! When it comes to the introduction of tool making I am not sure if the savannah is linked to this. There is still no evidence that early Australopithecus or the first tool makers 2,6 million years ago actually did go hunting. It is more likely that our ancestors used these tools to open for example freshwater clams or for processing stranded catfish or other animals who died close to the Rift lakes. The oldest signs of hunt are approximately 2 million years old, as for example a butchery site in Olduvai Gorge in Tanzania where animals as antelopes were slaughtered. These animals were most likely hunted and not scavenged because predators such as lions and leopards normally eat these animals completely. This finding is somehow contradicting the waterside theory. Perhaps different hominid species were living in different environments (as you suggested before) or perhaps some groups were hunting during particular climate conditions throughout a year cycle. There are also no evidence for that these early humans who hunted actually became our forefathers. We also have to keep that there are no clear signs that Homo Sapiens started to hunt on large scale until for at least approximately 50 000 – 60 000 years ago. They most likely started doing so when climate changes forced them to exploit other environmental niches. Just like you I am also certain that usage of tools was critical in the development of the human brain. As you say, production of tools requires an ability to imagine let say a hand axe from a larger stone object. Further, tools enables it’s user to extract resources from an environment that were before impossible to extract. Hence, tools can make it possible to survive in a completely new environment despite the fact that the bodily functions are not fully capable of surviving in that environment. Tools also speed up the evolution since they will lay the foundation of a selective adaptation: when we cling on to a new environment by using tools our other body parts will quickly adapt to this environment and way of life (the thump grip is the most obvious example). This also means that the tools actually became a part of the human body, so to say as extracorporeal body parts. More interesting is that our language exists in the same part of the brain as complex hand movements. Perhaps, the original function of language was to repeat and reproduce advanced series of hand movement that couldn’t be turned into instincts, unlike for example beaver’s nest creation. Hence, we evolved along with the tools. Another question is when people started to dress themselves. Some Homo Erectus definitely did clothe themselves when they were living in colder environments but we still don’t have any evidence for that earlier human species did so. We also have to keep in mind that many present humans barely dress themselves when they live in warmer areas, as most of our forefathers did. Yes, the question about how we started to walk on two legs is tricky. For sure, this transformation from being four legged to two legged was very sensitive, because every interstage within the transformation must somehow be adaptive, otherwise it wouldn’t have emerged. But how efficient was a forefather who either walked perfectly on four or two legs? They might indeed have been vulnerable to predators, but to assume that they evolved along the shoreline isolated from predators and thereafter went back to the Rift valley is far-fetched. Most likely they went through this transformation along the Rift Lakes or perhaps along other interior lakes. One explanation can be that they started to swim before they started to walk on two legs (our upright posture with straight thighs in relation to the back is critical for our efficient and streamlined swimming ability). Another explanation is that wading is an explanation good enough even if they were very vulnerable (the only times primates walk on two legs are when they are in water), but since this transformation of knee, legs and back would have made them vulnerable and slowed them down perhaps swimming is a better explanation. Thanks for your comments and thanks for your commitment in the Aquatic Ape Hypothesis! I agree with you that it is likely that Homo Erectus and other archaic humans were shallow water divers, and that Homo Sapiens became better adapted for wading (however, Homo Erectus should have been good at this also since they made it all the way to Southeast Asia). This shift to more shallow water in Homo Sapiens might have been possible because an increasing ability to extract resources along the coastlines, and here fishing is probably an important factor, since Homo Erectus were already experts in collecting shell fish. This shift can also have been due to climate factors. When it comes to language I am also certain about that many factors contributed to our ability to speak as for example voluntary breathing after hundreds of thousands of years of diving. The ability to form sounds combined with our ability to create and use language made our species very powerful. However, I wonder what you say about the cognitive revolution. It seems that the earliest populations of Homo Sapiens who were living at the time of Omo and Herto didn’t have a very rich material and artistic culture. The earliest findings of modern behaviour have been found in South Africa in the Pinnacle point – in environments already exposed to climate change, and the real explosion takes place approximately 70 000 years ago in other areas exposed to climate change. We also must remember that the first Homo Sapiens don’t seem to have been superior the Neanderthals in any way, as the initial migrations to today’s Israel for approximately 125 000 years ago shows. Here, Homo Sapiens and Neanderthals were living in some of the caves alternately, until Homo Sapiens disappeared from the area. Hence, it seems like the first Homo Sapiens didn’t have the same mental states as we have today. Perhaps their inner world was fundamentally different than ours, perhaps with an incredible ability to grasp the environment, move one’s body and to know every inch of one another. And the waterside hypothesis – with its natural water births, reduction of gravity and its three-dimensional reality – suits very well with this idea of an inherent potential in man to think differently. What is your thoughts on the so called cognitive revolution? I have to say first that I much enjoy the pleasure of contact with like-minded thinkers. Another speculation which I have harboured for many years when thinking about the ‘jumps’ in human evolution is the possibility that these have been stimulated by particular cosmic radiation events causing mutations in soft tissue. Such triggers combined with very long periods of seafood nutrition and behavioural pressures for anatomical changes from seashore living may be the solution to our extraordinary evolution. This is a difficult matter to try and describe in a short memo and may seem to be quite crackpot, but there is some scientific evidence, especially for the last 100,000 years. My book, Seashore Man & African Eve, discusses it more thoroughly. I am happy to transmit it by email if needed – it is about 15Mb as a PDF file. Thanks for your comment! Yes, it’s very inspiring to come across like-minded. Yes, there is much in the idea that the real cognitive revolution took place at approximately 35 000 years ago, when cave paintings in Eurasia, South Africa and Australia (the extremes of human dispersal at the time) emerge. The cognitive revolution is also linked with the colonisation of locations with more extreme weather conditions, as for example Siberia’s interior. I read some about David Lewis-William’s interpretations of the cave art as shamanistic, and his will to anchor the interpretation in cultural anthropology and what we know about cotemporary indigenous people as for example the San people in southern Africa is excellent. Hence, the cave art’s function was not primarly to reflect the everyday world of the people or to tell the world that we were here, but rather to complement a shamanistic world view and facilitate rituals. Personally, I also think that shamanism as well as the cave art was a way to bring the world back to normal – to create stability in a chaotic world. In many mythologies, around the world there is a belief that we were living in a different state were there was no differentiation between humans, animals and nature (as for example the Aboriginal dream time), but that something happened that forced us to leave this state. This is, I belief, a deeply rooted and nearly universal understanding of the world before the emergence of the cognitive revolution. In other words, the cave art, the ochre, the shamanistic world view, was rather a call for help than a sign of enlightenment. Also, if we take into consideration that only approximately 10 % of the DNA of people living outside of Africa come from the South African San people, whereas the rest are from the central/northern groups from particularly Ethiopia, which is called “cradle of humankind” because of its great genetical and cultural diversity – even though the earliest signs of modern behaviour come from South Africa. Hence, it is more plausible to believe that this change didn’t come from genetic change. I haven’t heard about the idea that cosmic radiation could have triggered mutations in soft tissue that led to the cognitive revolution. It seems to me, however, that this theory is both difficult to prove and to falsify. The new founding of approximately 300 000-year-old Homo Sapiens fossils in Morocco makes the idea of a cognitive revolution even more plausible. This means that mental state of the earliest Homo Sapiens was different than ours even if we were nearly identical in a genetic perspective. I also think it is more plausible to think that the cognitive revolution took place because we took advantage of latent mental properties at times of climatic change, rather than mutations in our DNA. Yes, I would really like to get a copy of your book Seashore Man & African Eve. Can you share it somehow?